The multifaceted impact of drug markets means that a wide range of EU institutions are involved, alongside the Member States, in designing and implementing different aspects of the EU’s drug policy. Alongside these are the financial instruments and legislation that support the action taken to address the illicit drug phenomenon within the EU. The main institutions, bodies and other structures involved in responding to illicit drug supply in Europe are highlighted in Figure 8.2, together with the main roles they undertake. The EU consists of several institutions (32). Alongside the Member States, these institutions are tasked with designing and implementing different aspects of the EU’s drug policy through the different priorities and actions set out in strategic planning documents. The EU institutions have different roles with respect to policymaking and implementation, and establishing any necessary legislation to implement policies. 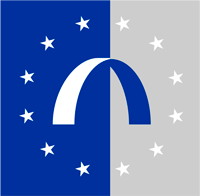 The European Parliament’s functions include passing laws, approving the EU budget and discussing EU policies (European Parliament, 2013). Drug issues arise in different areas of the Parliament’s work when, for example, it considers internal security matters or relations with non-EU countries (third countries). The Council of the EU (the Council) adopts legislation (often in conjunction with the European Parliament), plays a policy coordination role for the Member States, devises the EU Common Foreign and Security Policy (CFSP), signs off on agreements between the EU and third countries, and adopts the EU’s annual budget (Council of the European Union, 2013a). The Council also has a number of committees and working groups that are involved in drug policy implementation, in particular COSI and the Horizontal Working Party on Drugs (HDG). COSI plays a leading role in defining, implementing, monitoring and evaluating EU activities in the policy cycle (Council of the European Union, 2010). The HDG plays a central role in the development of EU drugs strategies and action plans and its purview encompasses all areas of drug demand reduction and drug supply reduction (Council of the European Union, 1999). A number of other Council working groups also play an important role in drug policy including, for example, the Customs Cooperation Working Party, the Working Party on Customs Union and the Coordinating Committee in the area of police and judicial cooperation in criminal matters. The European Commission proposes new legislation, and is responsible for ensuring that Member States correctly implement EU laws (European Commission, 2015a). Alongside drafting the EU’s annual budget and overseeing how funds are used, it undertakes international negotiations on behalf of the EU. It consists of 33 Directorates-General (DGs). Because of their cross-cutting nature, drug supply reduction issues arise in a number of different areas of its work, but mainly within DG Migration and Home Affairs, and DG Justice. The Commission addresses all aspects of drug control policy, including the reduction of drug use and the prevention of drug-related crime and drug trafficking. It also proposes measures for the control of NPS and ensures the implementation of EU laws designed to prevent the diversion of chemical precursors for illicit drug production. Finally, it promotes European cooperation in addressing drug problems through the provision of financial assistance. In addressing the EU’s capacity to deal with external action, the Lisbon Treaty (Treaty on European Union, TEU) called for the establishment of the post of High Representative of the Union for Foreign Affairs and Security Policy (TEU article 15) and the European External Action Service (EEAS) (TEU article 27) (Council of the European Union, 2012b). The High Representative is in charge of the EEAS and is responsible for, among other things, conducting the EU’s CFSP, developing policy proposals and chairing the Foreign Affairs configuration of the Council. Assisting the High Representative, the EEAS develops policy proposals and implements after approval from the Parliament and the Council (European External Action Service, 2015). The EEAS oversees the EU delegations in more than 130 countries, coordinates the EU’s external action and is the permanent chair of the Council’s Political and Security Committee, which is responsible for the CFSP. The EEAS also carries out the strategic programming for EU external assistance, which is then implemented by EuropeAid. Much of the implementation of the EU drug policy is undertaken by specialised EU agencies, in particular the two agencies that have produced this report, in collaboration with Member States. The EMCDDA provides the EU and its Member States with factual, objective, reliable and comparable information at European level concerning drugs and drug addiction and their consequences (EMCDDA, 2010). It collects data from its Reitox national focal points on a range of drug supply reduction and demand reduction issues. This includes information about drug law offences, drug seizures, drug purity and potency, as well as retail prices for drugs (EMCDDA–Europol, 2013). It also operates the Early Warning System (EWS) on NPS in conjunction with Europol and the European Police Office, and conducts risk assessments. Europol officer at work in Palermo, Italy, during a 10-tonne cannabis resin seizure in June 2015. Europol is the EU’s law enforcement agency, which supports law enforcement authorities through the exchange and analysis of criminal intelligence. As a result of Europol’s mandate, countering drug production, drug trafficking and money laundering is amongst the organisation’s recurring priorities (Figure 8.3). Evidence of this is that in the last decade almost 25 % of all messages exchanged via Europol relate to drugs. The recurring objective is to contribute to a measurable reduction of the availability of illicit drugs by providing strategic and operational services to law enforcement agencies. In the drugs supply reduction area, customised products and support services include operational analysis, technical and forensic expertise, on-the-spot support including dismantling of laboratories/cultivation sites, technical and comparison reports on chemicals and equipment seized in illegal synthetic drug production/storage locations and waste dump sites, operational meetings, participation in joint investigation teams (JITs), execution of asset tracing requests and training events (e.g. dismantling illicit synthetic drugs laboratories). Europol also carries out threat assessments and produces the SOCTA and the EU Terrorism Situation and Trend Report, which inform policymaking and planning processes, such as the policy cycle. It works with EU Member States through Europol national units and functions as a specialist information hub, supporting policing operations throughout the EU and beyond. It operates the Europol Criminal Assets Bureau and the Europol Cyber Crime Centre. Europol provides secretariat services for the Camden Asset Recovery Inter-Agency Network (CARIN). It facilitates action under the EU policy cycle through its specialised information services and supports EMPACT, through which coordinated operational actions are implemented. Europol hosts a wide Liaison Officer (LO) network from all Member States of the EU and from other countries with which Europol has concluded an operational agreement. The major national law enforcement agencies are also represented, therefore, in addition to having access to LOs of nearly 40 different countries, Member States have access to a large panel of law enforcement expertise. Eurojust is the EU judicial cooperation unit, which facilitates and coordinates cooperation in cross-border serious crime cases, helping Member States to collaborate and synchronise their investigations and prosecutions. Its work covers the activities of OCGs, such as drug trafficking and money laundering. Eurojust can ask Member States to investigate or prosecute a crime, to work together and to establish a JIT and, for example, works with EU Member States on the use and coordination of controlled deliveries of illicit drugs (Eurojust, 2015a). It works closely with the European Judicial Network and Europol, and assists national authorities with the use of mutual legal assistance and mutual recognition legal tools (e.g. European arrest warrant). Drug trafficking continues to be one of the most common criminal offences dealt with by Eurojust. Between January 2013 and December 2014, Eurojust registered 527 high-level drug trafficking cases, a slight increase from 512 in 2011–12 and 484 in 2009–10. It also organised 11 coordination meetings with prosecutors and investigators in the same period, while 21 JIT agreements were signed, up from 10 in the 2-year period 2010–11 (Figure 8.4). The geographic distribution of cases referred to Eurojust has not changed much in recent years. The Member States most involved in these types of cases, as indicated by requesting and being asked for judicial cooperation in 2013–14, were Spain (178 cases; 46 requests made and 132 requests received) and the Netherlands (142 cases; 15 requests made and 127 received), followed by Italy (99 cases in total), France (84), Germany (84), Belgium (75) and the United Kingdom (70). More detailed analysis of these interactions between countries reveals the central role played by Spain and France, closely followed by the Netherlands, Italy, Belgium and Germany, in Eurojust casework (see Figure 8.4). In 2015, based on the analysis of its casework, Eurojust published the ‘Implementation Report of the Action Plan on Drug Trafficking’ (Eurojust, 2015b), which focused on and made recommendations concerning a number of areas highlighted elsewhere in this report, including controlled deliveries from a judicial perspective; judicial cooperation in cases involving NPS and (pre)precursors; and cooperation with third states. Drug supply reduction issues arise in several areas of the work of the European Agency for the Management of Operational Cooperation at the External Borders of the Member States of the European Union (Frontex). The Agency was established to improve the integrated management of the external borders of the EU. Among others, it carries out risk analysis, launches joint operations at the EU’s external (air, land and sea) borders, facilitates research and develops training standards. While fulfilling its mandate, Frontex liaises closely with international partners such as Europol, Eurojust, CEPOL, Interpol and the UNODC. Frontex develops and operates information systems enabling the exchange of information, including the European Border Surveillance System (Eurosur). Joint operations coordinated by Frontex have a multi-purpose character, and in addition to tackling irregular migration they aim to prevent and counteract cross-border crime, including drug trafficking. According to statistics covering 2014 and the first half of 2015 that Frontex made available to the EMCDDA for this report, the drugs most often seized are cannabis (both herb and resin) and heroin. Most of the heroin seized during Frontex-coordinated operations was confiscated at land border-crossing points, mostly with countries of the western Balkans, reflecting trafficking along the Balkan route, although some was also seized in Greece in a maritime context. In contrast, most of the cannabis was seized at sea or in ports, with most resin seizures occurring at the external borders of Spain and most seizures of herbal cannabis at the external borders of Italy. A significant exception was the seizure of 12 tonnes of cannabis resin by Italian authorities, from a Turkish cargo ship coming from Morocco, in June 2015 in the Strait of Sicily, within the operational area of Joint Operation Triton. This case illustrates the emergence of Moroccan resin trafficking routes towards the eastern Mediterranean as highlighted in Chapter 3 of this report. CEPOL, the European Police College, is involved in building police cooperation across the EU. It provides a wide range of training courses relevant to different aspects of supply reduction and security activities, for example, a training course on dismantling illicit synthetic drug laboratories (Figure 8.5) (CEPOL, 2015). In conjunction with Europol and the EMCDDA, it provides training to national law enforcement officers on a range of topics, influenced by the findings of the previous EU drug markets report (EMCDDA–Europol, 2013). Training is delivered in a range of different formats, including residential courses, webinars and exchange programmes, which together had a total of 1 390 participants in 2013 and 2014 (Table 8.1). Although the majority of participants come from EU Member States, others were from candidate and acceding countries, EU bodies and networks, and other countries and organisations. The EU has adopted legislative tools designed to discourage and disrupt drug smuggling, bringing OCGs to justice and depriving them of the proceeds from their activities (Table A.1 in Annex). The trade in drug precursors has been regulated to prevent diversion to illicit drug production (see box: ‘combating the supply of illegal drugs at the source — drug precursors control in the EU’ below), and provision has been made for the movement of samples of controlled drugs during investigations (Council of the European Union, 2001, 2005a; European Parliament and the Council of the European Union, 2004). A response to the emergence of NPS involving a three-step process of information exchange, risk assessment and control has been implemented, resulting in EU-wide bans on certain drugs (Council of the European Union, 2005b, 2014a). As part of its comprehensive drug supply reduction approach, the EU finances a wide range of activities within and outside the EU. Financial instruments with a broad focus are used to implement the drug supply reduction, international cooperation and other objectives of the EU drugs strategy (2013–20) and its action plan (2013–16) (see table A.2 in Annex). These instruments fall into four categories: framework programmes (e.g. the Internal Security Fund); programmes for EU candidate and potential candidate countries (e.g. Instrument for Pre-accession Assistance); geographic or regional programmes (e.g. European Neighbourhood Policy); and specific programmes that complement geographic ones (e.g. Instrument contributing to Peace and Stability). The tools are funded through the EU budget and in cooperation with consortiums of Member States and international partners. (32) The European Parliament, the European Council, the Council of the Euro- pean Union (the Council), the European Commission, the Court of Justice of the European Union, the European Central Bank and the European Court of Auditors.